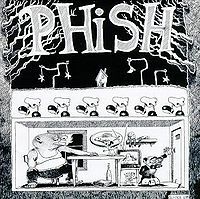 This show was webcast via Live Phish. Trey quoted Sleeping Monkey during BOTT. Martian Monster featured Trey on Marimba Lumina. Light featured NMINML quotes. Following Antelope, Trey picked up a shirt that read "They Attack!" prompting a The Birds quote before the band left the stage. 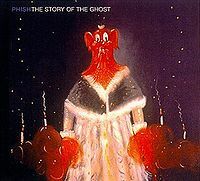 I'm 15 years old, and yesterday was my first ever Phish concert. I was probably more excited than I have ever been in my entire life. I loved it so much. 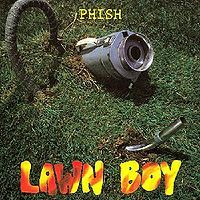 I was hoping to see Lawn Boy, but they played it tonight. I was obsessed with seeing Divided Sky live, and it was by far my favorite song the played. I participated in my first ever Glow-Stick war, and that was more awesome than anything I have ever experienced. Now we are back to couch tour for a while, but I am patiently waiting for the next true live show. All-in-all, my first experience was absolutely the best thing that has ever happened to me, and it still feels surreal. Very possibly the definition of average-great. 555 - Basically always good. 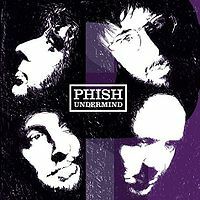 The tension/funk combo is just wonderful; definitely Phish's third best song about trains. 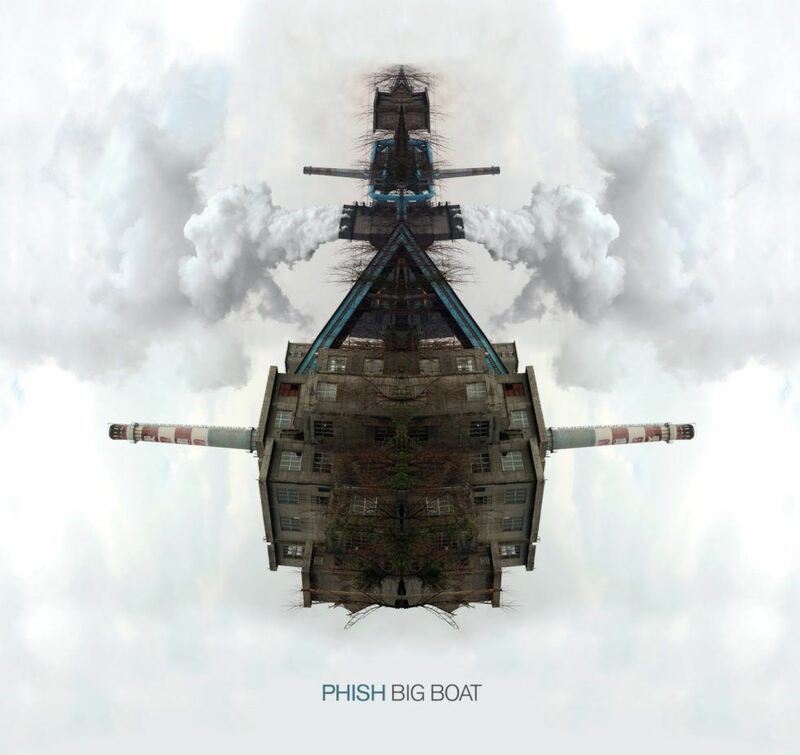 BOTT - Loads of mustard from the band and some real majesty from CK5 made this a very strong type-I rendition of Phish's second best song about trains. Army of One + Divided Sky - A great, melodic centerpiece. 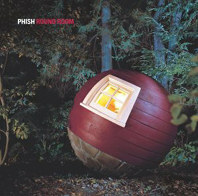 Martian Monster - The footnote "Trey on Marimba Lumina" should just be changed to "Fun was had by all" from here on out. 46 Days + WOTC - If Army of One and Divided Sky are the melodic duo in this set, these two are the rager duo. Just buckets of fun and a great way to go out on a high note. This is a real example of setlist flow, imho... we alternate between energy levels and give everybody something to be thankful for. Is it an all-timer first set like 11/17/97? Obviously not, because they didn't play Train Song, which is Phish's best song about trains. 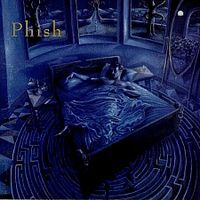 But it does its job -- over an hour of exciting music for the people who are there and a decent tape for people who weren't there to hear some good Phish songs. I am glad to announce that the group in front of the Green Port-a-Potty last night was MUCH BETTER at Bathroom Efficiency than the group in front of the Grey Port-a-Potty on night one. Good work, team. There is truly no feeling in the world better than listening to the opening notes of No Men in No Men's Land while biting into a mozzarella stick. For those of you who have not yet had the pleasure, I recommend you do so now. Then proceed to the rest of the review. Unfortunately, the mozzarella sticks were really the only noteworthy part of this song. Perhaps I should not have eaten them so quickly -- once my eight minutes of cheese time were over, the second set opener bit the dust as well. 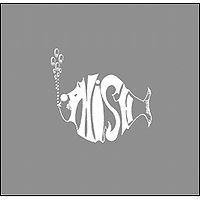 With my sticks vanquished, Phish new that they had to deliver something fun in order to fill the void in my heart. Fuego delivered, coming in at a temperature almost as hot as the aforementioned fried cheese, dropping a pretty jam that strayed a little far from the ranch and then realized that it forgot its lunch and went straight back. Still, it's a sweet version that gives you a little bit more than an average Fuego and a little bit less than a great Fuego. Light was a real highlight (HA!). Trey decided to play lead guitar in a rock band for a little bit, wading into the pool of bliss with his swimmies on, summoning some delightful melodies that complimented Page's textures. (Page, by the way, is MVP of the show for me, not only for a filthy Julius solo but also for bailing out the band at the end of Light, setting up the segment that would eventually -> Golden Age). The whole rest of the show, from Golden Age on through, was another of 2016's becoming-signature fourth quarters. Everybody boogied, everybody sang along, glowsticks were thrown. The lights went white, people raised their hands and clapped, the guy behind me insisted that this was the greatest thing that ever happened, etc. etc. We had so much fun, and I understand that this kind of fun is had at basically every Phish show. This makes it average, this makes it great. There are a few things I'd recommend a listen to (mainly Martian Monster, Fuego, Light, Antelope), but this show is best-served as a Saturday night dance party. Nothing wrong with that, nothing legendary about it either. 7/2/16 SPAC: Ok, so I wasn't going to write a review today, but this show was simply too good not to! We webcast again and had a few friends over to enjoy the evening with us. The night kicked off with a later start time than Friday, which left me feeling full of energy and wanting it BAD!! By the time they went into Crowd Control (a great opener lyrically & musically in my book), I was ready for anything! For those of you that have read my previous reviews, you know I'm a Mike fan so 555 was a very welcome number, which then transitioned right into a wonderful Seven Below! When the camera guy panned the venue during Back On The Train, it was evident that the entire place was groovin' hard together. This is something that I love about going to shows -- being one with the crowd, singing & dancing together like a giant cluster of anemones floating in the current of a great sea. Page's vocal-led Army Of One was up next, and the "cold/winter" theme that began with 7B continued, and Divided Sky fit in perfectly. Martian Monster, one of my favorite Halloween Jams (being the space cadet that I am) could also arguably fit in with the cold theme, as it is a bit chilly on Mars I hear. I ALWAYS love to hear Rift and this is the point in the set where my soul was shocked and persuaded to ignite...it helped me thaw out after the cold-theme songs, haha! They then played Water In The Sky with a slower, saloon-style, honky-tonk country tempo...I've been thoroughly enjoying the new tempos/arrangements they've been doing on a few songs this tour! I thought 46 Days would be the set closer since it was such a jammin' take and we got into that dark liquid space that I love so much, but they surprised me again! Walls Of The Cave would be the final song of Set 1, and we're reminded as in Crowd Control that the devil is lurking...ha! He ain't got nothin' on us, because we are the No Men In No Man's Land and "the truth has all the teeth." The second song of Set 2, Fuego, provided a nice contrast with the cold/winter/darkness songs of Set 1. Light, one of my favorite songs, kept the set illuminated with a super jam that could be the highlight of the SPAC run thus far in my opinion. As with the Deer Creek show last Sunday, Light was followed with Golden Age, and I think these two are a perfect pairing...just so uplifting & optimistic for our future!! Taste, The Horse > Silent In The Morning > Julius was perfectly poetic, punctuated with A Day In The Life. The encore, Bouncing Around The Room & Run Like An Antelope were the ideal ending to a beautiful & meaningful show. In addition to this being the fun, Independence Day weekend party show that everyone was hoping for, it was also a prime example of how our favorite band keeps us happily returning year after year...They love to turn us on and that's why we come here!! Thank you, looking forward to Sunday. 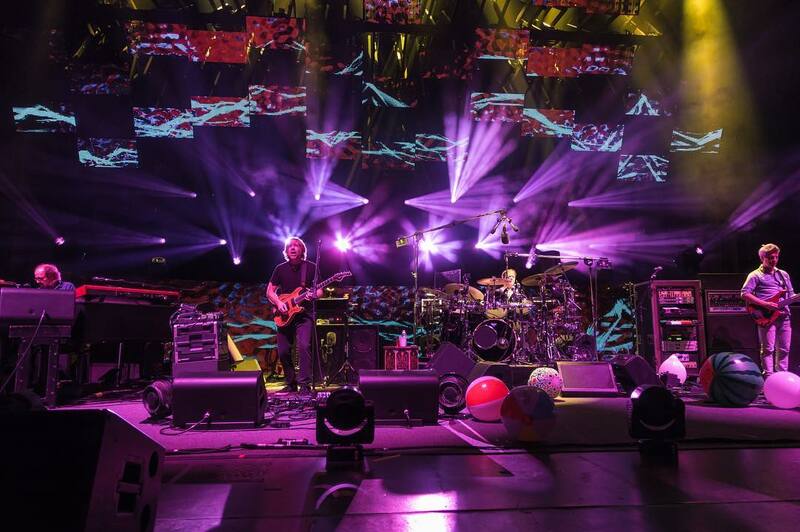 The vastly improved, so-called "fourth quarter" was one of the most significant and oft-mentioned reasons why Phish shows were so consistently can't-miss in 2015. Unfortunately, with eight shows played thus far, the same cannot be said about the 2016 summer tour. It's not necessarily a bad thing for this segment to be more "songy" than "jammy" – take 7/1/16, the first show of the SPAC run, as an example of when the former approach works well. But more often than not it hasn't, as the (ironically) post-Golden Age portion of this show did not, with a bit of sloppiness (Taste/ADinL) and without the fun that the previous night's My Sleeping One offered. Thankfully, the third quarter play has been lights-out, and the first half has often been top-notch for the 3.0 era. Once this team shakes off its remaining spring rust, it will surely find its way to the top of the standings. I wouldn't count this team out quite yet, what with Cespedes blasting shots out of the park and Thor throwing lightning bolts from the mound. Great upbeat energy inside the pavillion! Everyone in our group (including many triple-digit vets) enjoyed the crap out of it. The crowd was engaged and dancing the whole time and the band played off of that energy. 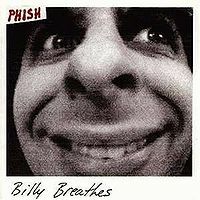 Playing was crisp, and outside of the predictable flub in Rift, Trey was ripping it up. 46 days almost shook the balcony down! Obviously nothing got out there like Friday's big jam, but so what? That's what Sunday show is all about and arena rock plays well on a Saturday in SPAC. A stomping fist-pumping good time show, haters be damned! Yeah, first show. 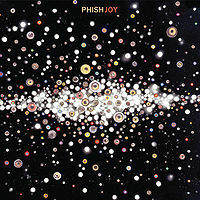 As the general consensus seems to be, solid, songy Set I Phish with the highlights being the Marimba Monster and the Divided Sky. I had heard a young child asked Trey early in the day to do No Man, so whatddya know! The Fuego, as opposed to the following Light, was my Set 2 highlight. You can't tell from the webcast, but back up on the lawn you could hear the crowd around you better than the band on the choruses. The audience was top notch. The second set seemed to be light themed, appropriate enough with the stellar new rig, with the Light -> Golden Age > Taste, which works really well. Even though A Day in the Life is a relatively common cover, I still screamed my face off when they started it. First set was kinda meh. Besides for a few songs, almost every song in the first set falls into the mediocre category. Divided Sky is basically the exception. Martian Monster should have been played a lot longer and same with 46 days. Overall... first set nothing special. Second set was same way for a while, nothing special. Maybe the newer songs just haven't grown on me yet, idk? But I didn't really enjoy much of that show until Taste, and I love Golden Age but even that wasn't going anywhere last night. But as always, the boys left me with a smile on my face. Horse- Silent is always awesome, Day in a Life is sweet and ending it all with an Antelope is always good. I didn't even mind the Bouncing because of the placement. Folks. Folks! The negativity man... For those not in the house, this show completely rocked! I was in the pit, so my perspective might differ from the lawn or webcast folks, but WOW, it was a great show. I have always thought the live sound at SPAC is so much more intense than other similar venues (Meriweather)... Maybe the acoustic panels/ballet sound, whatever it is the sound is just unreal. It took me until Divided Sky to really get in the groove, but after that it was all good. Very solid second set, maybe wanting more for exploratory jams, but the sound quality made every guitar lick sound so crisp it didn't matter. I was center/Page first set and dead in front of Mike's stacks second set so I was a dancing fool through NMINML. HUGE crowd participation throughout which maybe explains the difference in reviews between folks in the pavilion and lawn/webcast. Fuego was very solid. Light wandered and didn't really grab onto any vibe, but still, very good. Golden Age is a jam I want to hear every show. And the taste/horse/silent were gorgeous. The setlist was unexpected, but in a good way. I will be going back to SPAC again and to all the haters, you should too - just watch out for poison ivy. I had a good feeling going into this show. 555 got us people in the lawn grooving right away. I did not know 7 Below too much before tonight but loved it! Army of One is always welcome in set 1 for me. The Divided Sky jam was standard but always gets me going. Tonight was the best Martian Monster Ive witnessed. A cool synthy breakdown with Trey on the Marimba Lumina and Mike hitting those low notes that shake the whole venue. The rest of the first set was fairly standard untill Walls of the Cave. Before tonight that song was okay. 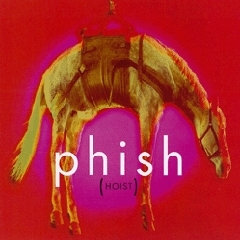 Tonights version moved that song up on my list of favorite Phish songs. Set break and everyone around me was giddy from what we just heard. Set 2 started pretty standard 3.0 but the Light jam was off the hook. Leading right into Golden Age which was standard but fun to hear. When that lead into Taste I was so excited as this was my first time seeing both those tunes. The last 2 songs of the evening were stellar to say the least. Both encore tunes I think are better first set tunes but they are both such good songs that Ill take them whatever time of day the boys are feeling them. The Antellope was amazing but the Maganaball version still holds the top position for me. Overall not too many deep jams but hey, we still have one more night to explore here at SPAC. The musicianship was spot on tonight and the glowstick war was intense in the lawn. Cheers to day 3! This is an average-great show to my ears. The next night would feature deeper jamming, in an unexpected place. But first! 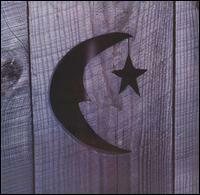 BOTT features some Sleeping Monkey teasing, which is very phun. Divided Sky, there's one point towards the end of the jam that Fishman does this intriguing little figure (wish I could timestamp it) that makes this version stand out upon a close listen. This Rift is a little bit laid-back, I might say, but nonetheless very enjoyable. Perhaps not coincidence that it leads into the slow-country version of Water in the Sky? 46 Days certainly has a little "extra mustard," especially judging by the audience response. WOTC closer standard. Light has a great jam, and it's pretty long, since the Light composition is pretty short. The segue into Golden Age is a bit clunky in my opinion. That's about it for jamming in this show, though, although a Bouncing, Antelope encore is always appreciated. Hard to follow the barn-burner of night 1, but still some great highlights. Trey on Marimba during Martian Monster had my mind and body going pretty wild. Rest of show was very enjoyable, but left the show a bit puzzled with the Bouncing > Antelope encore. Just felt a little weird. After hearing the No Man's>Fuego>Light>(No Man's vocal tease)>Golden Age>Taste again today while tuned into Jam_On with Jon Schwartz on my drive home to Ohio I was absolutely BLOWN AWAY by the new meaning I found in all of these songs, and how beautifully they were grouped together. Lyrically, hard to find a better segue fest of songs. A wonderful Saturday night at SPAC. Incredible weather. Crowd Control and Seven Below were nice early surprises, Divided Sky and Martian Monster brought some heft to the middle of the first set, and 46 Days and WoTC delivered the necessary heat at the end. 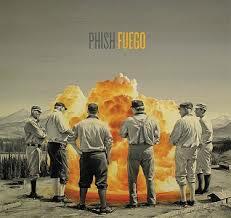 Fuego>Light>Golden Age was the standout portion of the show. Golden Age left me wanting more, but the placement of Taste was excellent. By then it was pretty clear where they were going (although I was expecting Antelope closer and Julius encore), and that was just fine. It was by no means a great show, but it was a solid show that brought a smile to my face from start to finish.